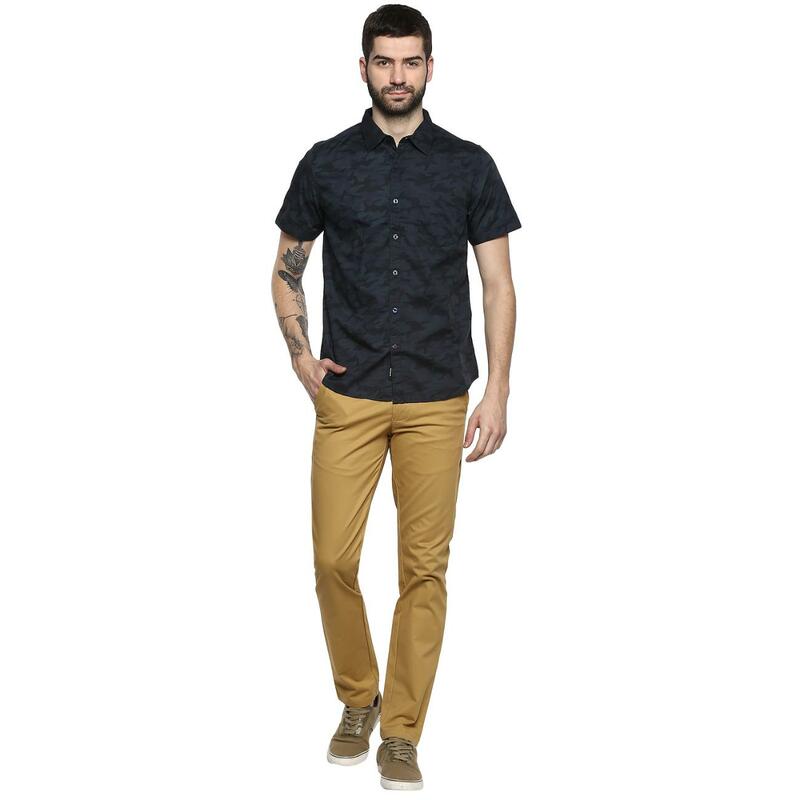 Looking for something peppy to go with your khaki trousers, why not grab this black casual shirt from the Red Chief line of clothing? 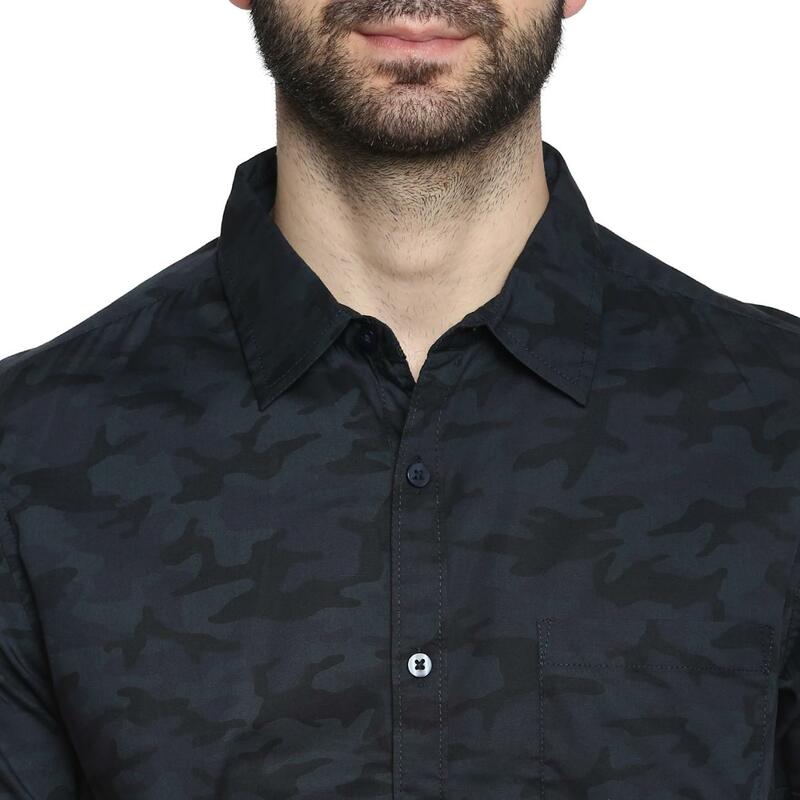 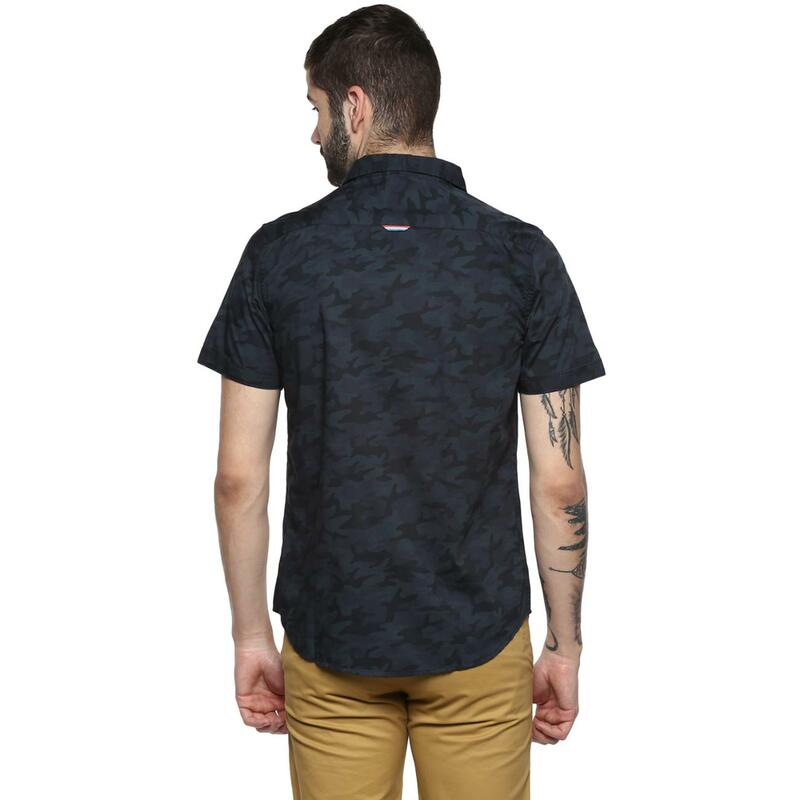 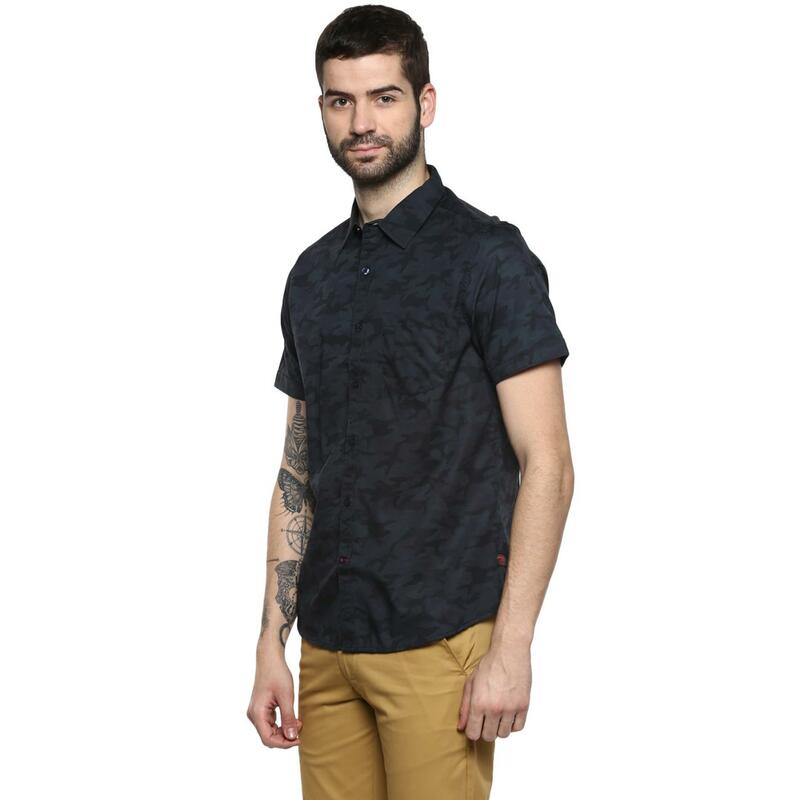 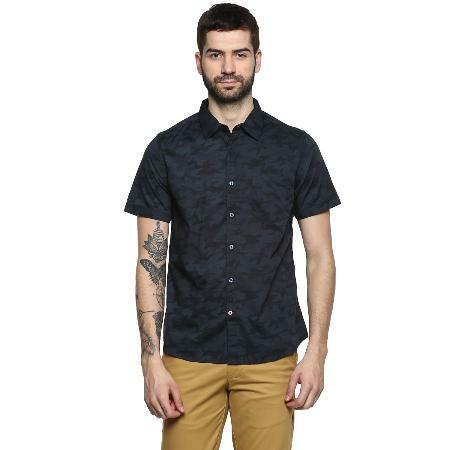 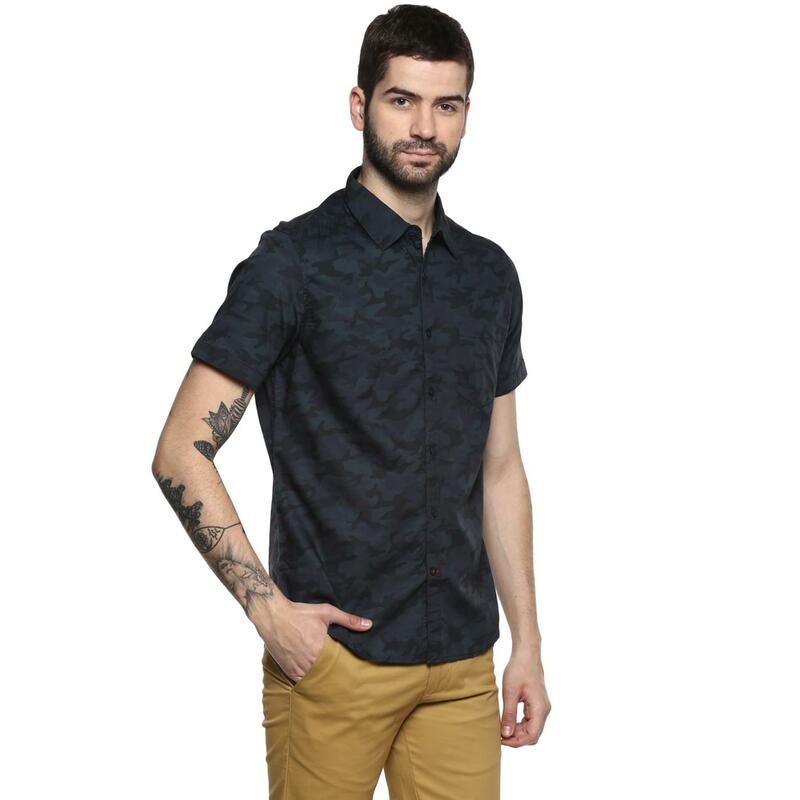 Created for men with a regular collar and summer ideal short sleeves, this one exhibits chic camo print all-over including its chest pocket. 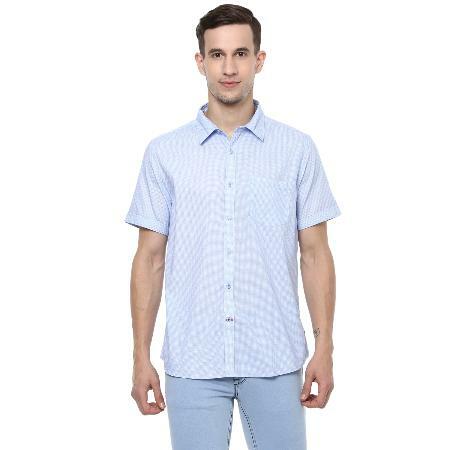 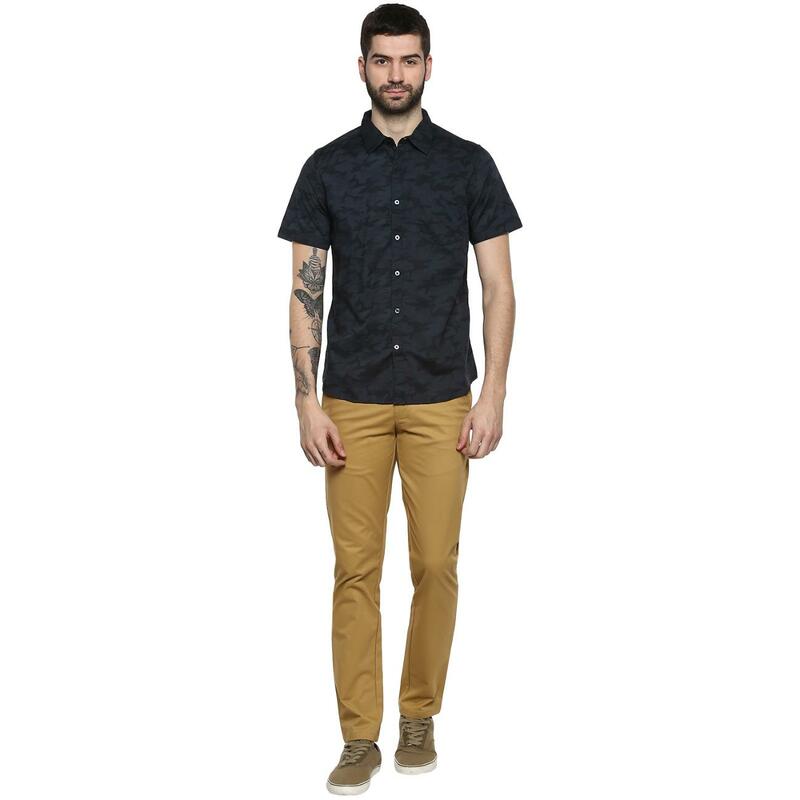 The folded cuffs and slightly shaped hem make it a perfect pick for daytime outings.